I just love navy and pink paired together, and I know I'm not the only one because I see the color combo a lot in weddings and nursery decor. 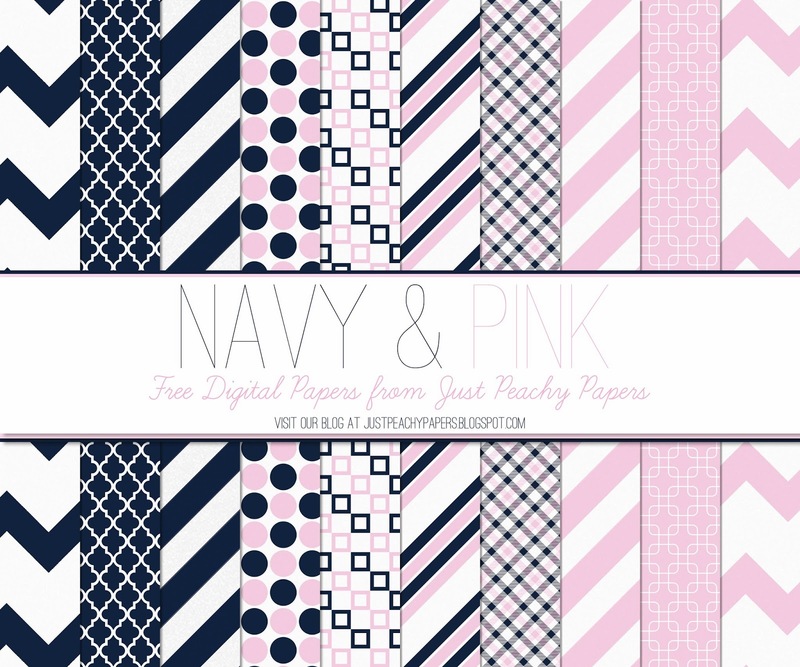 This set of 12x12 inch digital papers features navy and pink in a variety of basic patterns, including chevrons, stripes and dots. These are so beautiful, thank you for your generosity.